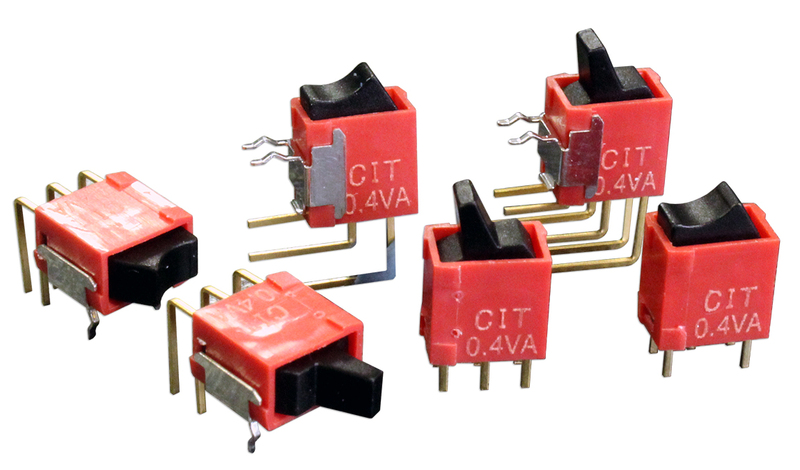 The CSR Series switch is IP67 process sealed ultra-miniature rocker switch offering single or double pole function. 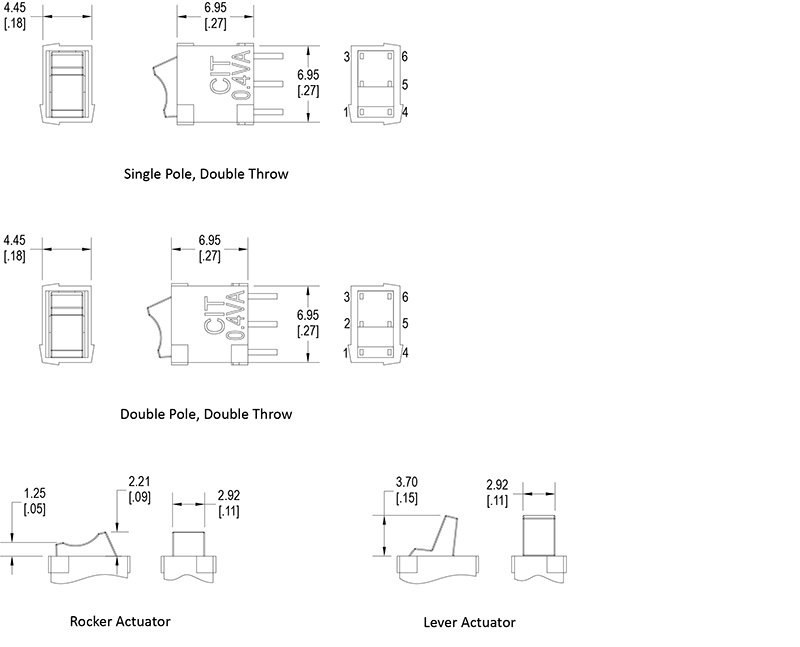 With a lever or rocker style actuator choice, the CSR Series offers terminal options of PC pin, horizontal mount right angle PC pin or vertical mount right angle PC pin. Gold plated contacts are standard on this small rocker switch.